20+ Creative Business Classes You Can Take On Skillshare - CreatingBeautifully.com - start and grow an online business you love! 20+ Creative Business Classes You Can Take On Skillshare - CreatingBeautifully.com - start and grow an online business you love! Have you noticed that being a creative entrepreneur also means you’re a life-long learner? I sure have! There are always new things I need to learn in order to grow my business. (And quite honestly, that’s fine by me! I love learning!) That’s why I love Skillshare! I’m actually a Skillshare student, teacher and affiliate because I think it’s so great, so I thought I’d share these creative business classes you can take on Skillshare. If you haven’t heard of Skillshare, I like to think of it as the Netflix of online learning. For a very low monthly fee, you can watch unlimited classes on a variety of topics: like business, marketing, Illustrator, Photoshop, Social Media, Drawing/Painting/ and all kinds of Art and Creative classes, Freelancing, Writing, Photography, Web Design, Technology, Languages… I mean, the list really just goes on and on! I’ve rounded up 20 of my favorite and/or most popular Skillshare classes for you to browse through (or you can just go there now and start searching for yourself). 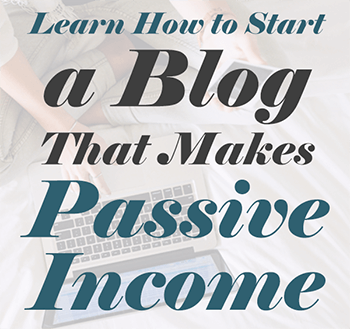 Start a Creative Passive Income Business in 7 Days or Less is one of my classes. In fact, it’s currently my most popular class with nearly 6000 students at the time I’m writing this. What is that, exactly? And how do you make it? Well, that’s what this short but informative class is all about: starting a creative online business that generates passive income for you! So that you can work from your sofa or by the pool – really anywhere you can have a laptop and WIFI… And make money while you sleep or play! This class is for creative people (artists, writers, bloggers, crafters, etc.) who need to know the basics of starting their own online business, for free! This is a system you can use to work full-time for yourself, or do it as a side hustle after your 9 to 5 job, or when the kids are sleeping or in school! I know people using these types of ideas who pay their car notes with the extra income, and others who travel the world full-time from their creative passive income. Of course, I can’t guarantee any income… But the possibilities are really limitless! “In this class you will learn how to experiment with different mixed media to create fun and interesting illustrations, and how to turn your creations into products that sell on Society6. I will take you through the creation process, showing you how to simplify what you see to create fun and loose illustrations, inspiring and showing you many tips and tricks along the way! You will gain the confidence and knowledge to take your illustrations to the next level as I show you how to prepare and upload your work to your own Society6 shop-applying what you’ve created onto phone cases, throw pillows, blankets and more! All levels of illustrators are welcome! I will outline the set of materials I love to use, but feel free to use any other materials you love to work with! This class is all is about getting your creativity on the page, so any kind of paper will do. Use your favorite sketchbook, or artist paper! By the end, you’ll have finished illustrations ready to sell. Have you ever thought about starting a part-time (or even full-time) online business from your home? This class will give you a peek into just one of the many ways you can start a side hustle… In this case, with affiliate marketing! In this course, I’ll introduce you to affiliate marketing: what it is, what it isn’t, some of the rules you must follow when using affiliate links, and so much more. Then we’ll cover how to promote your affiliate links in a variety of ways online, and I share 9 ideas that really equate to endless ideas when used creatively! “This class is a practical step by step walk through my entire workflow for POD. It’s packed full of information, from research and designing the original painting with POD in mind, scanning large artwork on a regular scanner, piecing it back together, removing the background, adjustments and variations, putting the pattern into technical repeat, formatting for POD and uploading to Redbubble and Society6. Phew! All that in under an hour! Or… I wish I could make money pinning on Pinterest! It’s so fun! Or even: I’d love to have a fun, part-time side hustle to make a little extra money each month. Did you know that you don’t have to have a shop or make any products in order to make money with Etsy? Watch this quick but thorough class to find out exactly how, and be on your way to making extra money with Etsy, today! “This course is designed for the person who dreams of becoming a professional surface pattern designer. I’ll walk you step by step through the process of creating a pattern collection that is unique and engaging, and I’m sharing all of my industry secrets with you along the way! We’ll discuss what to include in your portfolio and how to begin contacting companies to start your career. “Have you been looking for another way to monetize your art and design? 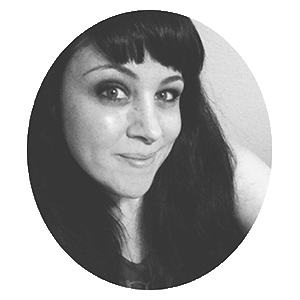 This introduction to Art Licensing with illustrator, writer and art business coach Ronnie Walter could be the answer you’re looking for. With over 1000 licensing contracts under her belt, she shares everything you need to understand the basics of this method of making money with your art. From Goal Setter to Goal Getter: 4 Steps to Setting and Achieving Your Creative Business Goals is one of my favorite classes I’ve created, and I think it’s kind of under-rated! Well, it has 100% positive reviews (at the time of this writing) but not a lot of students. People are missing out here! We’ve all been there: it’s the first day of the year and you feverishly write down some pretty arbitrary goals for yourself and/or your creative business for the year ahead. But by the end of the year (or, let’s face it, maybe by the end of January) those goals were swallowed up and forgotten by your long daily To Do list, life, and maybe even some new “shiny penny” goals. If you’ve set goals in the last few years you haven’t reached (or maybe even forgotten about), this class is for you! For the last couple of years I’ve been using a goal setting system that has 5X’ed my own creative business, and now I’m sharing it with you in this class! And while this class is geared towards business owners, it can really be used for any area of your life that you’d like to improve! “Learn how to get the most out of your website data with Google Analytics expert Jeff Sauer in this new, straightforward class. “There’s a theory that goes if you perform a certain task every day for 30 days, new pathways are formed in your brain, so it becomes a habit. This can be applied advantageously to many areas of your life. I also feel this is a great approach for gaining great follows on Instagram. Promoting Your Online Business on Pinterest (Especially for artists, makers, and creatives!) is another one of my classes. Did you know that Pinterest has 200+ Million monthly users? And a huge portion of those users are not only clicking through on pins to get more information, but they’re also BUYING things they find there! When I noticed that over 60% of my own traffic was coming from Pinterest (where I have around 6600 followers) and only 3% was coming from Instagram (where I have 110k+ followers) — despite the fact that I was spending way less time on Pinterest and way too much time on Instagram I knew I needed to change my game plan. How to Pin? Yep! How to Pin! This class is especially for artists, makers, and creatives! But it will be helpful to anyone who wants to learn more about the power of free exposure you can get on Pinterest. I hope you’ll join me in the class! – What are your goals for your influencer campaigns? “Words matter. A few years ago, when I began to take more conscious steps towards designing a life I truly wanted, I started a tradition of picking a word as my mantra for an entire year. Instead of a New Year’s Resolution, just one word became my guide; an affirmation that inevitably became my experience and narrative for that year. Intuitively, my word embodied what I most needed at the time (even if I didn’t know it). I invite you to join me for this playful 10-minute class, where we’ll explore the process of picking one word as a mantra for your creative practice… and bringing it to life in a physical piece of art that can be a reminder to you in the months ahead. Stage the Perfect Instagram Flat Lays to Showcase Your Art! Peggy Dean is one of my favorite teachers on Skillshare (which is why I’ve shared two of her classes in this list!) So I definitely recommend any/all of her classes. “Calling all bloggers! Get ready as photography pro Lindsay Ostrom shares all of her behind-the-lens tips and tricks. Learn the basics of your camera, as well as how to light and style your shoot. At the end, you’ll see a notable difference in your photography! “This class takes you step-by-step through the construction and practical use of a simple studio lightbox. Learn how to utilize its features indoor and outdoor, day or night. As I mentioned before, I love Skillshare, and part of the reason for that is because these classes are just a mere sample of the hundreds, if not thousands of creative business classes you can take on Skillshare. Grab my 10 Best Resources - FREE! If you want to start, grow and succeed in a creative online business, you'll want these insider resources! WOW! Check out these 20+ Creative Business Classes You Can Take On Skillshare — free for the next two months! I’m not sure if you saw it, but I updated my Etsy class today so that the information in it now complies with Etsy’s brand new policies. I was so sad to see your thumb’s down review. I simply hadn’t had time to update the class, and Skillshare doesn’t allow teachers to actually take the class off completely. I hope you understand! And I hope you enjoy the other classes you’re taking on Skillshare!